Due to the recent bush fire trains are run on our Mulbring Road branch. 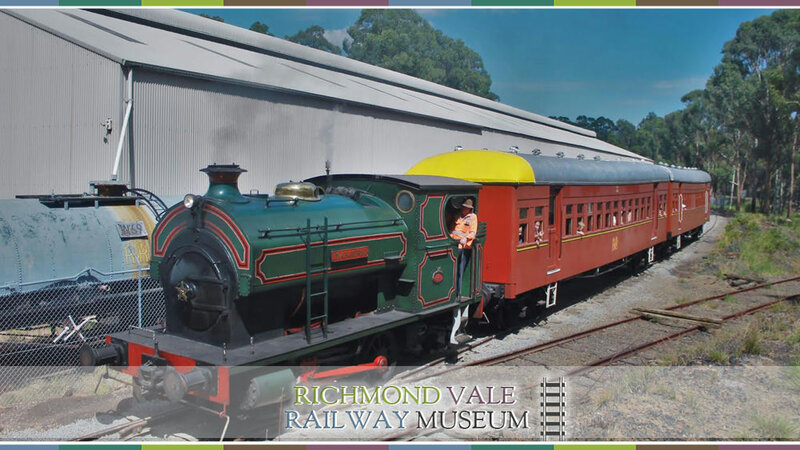 RVRM runs trains on the first three Sundays of each month and every Sunday during School Holidays (except Christmas and New Year’s Day). Gates open at 9:30am. The return trip on Mulbring Road takes approximately twenty minutes. The modern entry building houses a small railway museum. A larger mining museum is housed in the former colliery administration building. Miniature train rides are available throughout each open day. Steam operation is the norm from early March to late November, with diesel operation in summer or during total fire bans or for mechanical problems. Motive power may be substituted without notice. Group Bookings and charters are available for mid-week tours, weddings, other special events, social club outings, Christmas parties etc.